This medical specialty focuses on the diagnosis and management of cardiac arrhythmias. In the lab, the Cardiac Electrophysiology team implants pacemakers and defibrillators, and performs simple and complex ablations of different types of arrhythmias. Each year in the McGill University Health Centre, over 1200 devices are implanted, including over 400 implantable cardioverter defibrillator (ICD) and cardiac resynchronization therapy (CRT) devices. Over 600 EP studies and ablation procedures have also been performed by the Cardiac Electrophysiology teams in 2016. On top of all these procedures, the electrophysiology service also operates specialized device follow-up clinics, treating over 5000 patients per year. On call support for electrophysiology emergencies is also provided 24 hours per day throughout the year by interventional electrophysiologists to make sure that patients get full coverage. 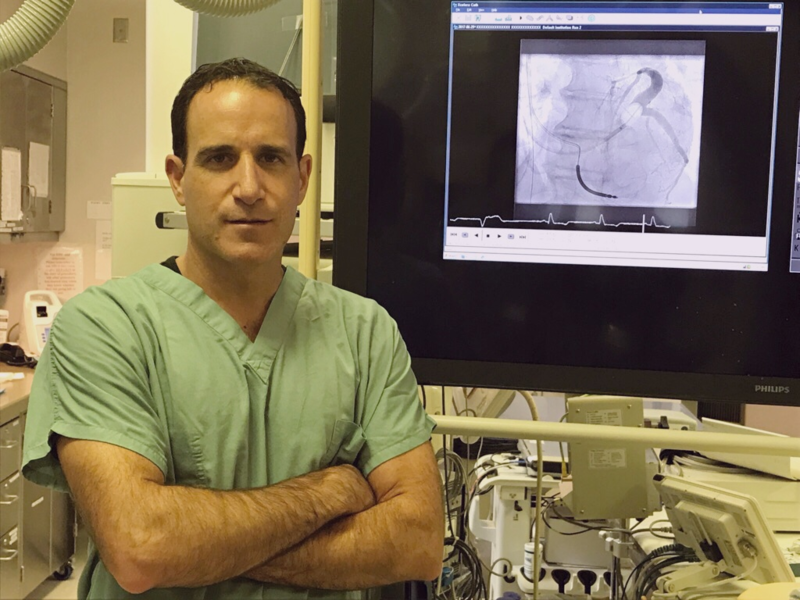 In June 2017 at the Montreal General Hospital, Dr. Vidal Essebag became the first surgeon in Canada to implant an MRI friendly Cardiac Resynchronization Therapy Defibrillator (CRT-D).This new device will allow patients to safely undergo full-body magnetic resonance imaging (MRI) scans, which was not the case with previous models. Clinical research is also an integral part of the MUHC electrophysiology program. The research performed includes drug trials as well as research on implantable devices and catheter ablation. A number of trials are ongoing or in the process of being planned. Cardiac Electrophysiology is one of the fastest growing subspecialty areas. Gifts will allow the Foundation to invest in furthering research and acquire the latest technologies in Cardiac Electrophysiology, to deliver the highest quality of care possible. The Division of Cardiology will soon open a state-of-the-art Centre at the Montreal General Hospital that will be devoted to the analysis and treatment of hereditary cardiac diseases. Led by Dr. Jacqueline Joza, cardiac electrophysiologist and specialist in hereditary arrhythmias, and Dr. George Thanassoulis, cardiologist and epidemiologist, the Centre will have a major impact on the lives of our patients and their loved ones.